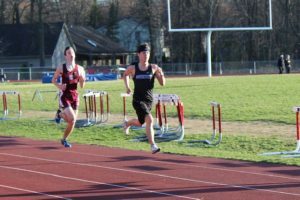 The boys track team beat Streetsboro last night 75-53 and lost to Woodridge 88-40. The girls team lost to Streetsboro 79-49 and lost to Woodridge 86.5-41.5. 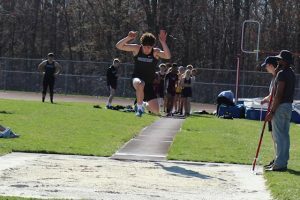 Winning events against both teams for the boys were junior Damian Jackson in the 110 hurdles, the 4×2 relay of juniors Ravel Ray, Derrick Brown, Justin Christian, and Malik Shaver, the 4×1 of juniors Marcus Sims, Jackson, Calvin Dudley, and senior Austin Hinzman, junior Jimmie Painter in the long jump, and Hinzman in the high jump. 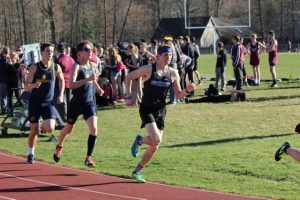 Winning events against just Streetsboro were the 4×8 of senior Nolland Almestica, sophomore Cameron Ray, junior Christian Regan, and sophomore Dennis Charnes, junior Ben Bullock in the mile, Christian in the 200, and the 4×4 relay of Ravel Ray, Christian, Shaver, and Charnes. Winning events against both teams for the girls junior Ashley Martinez in the 100 hurdles and senior Mea’nah Witherspoon in the shot put. 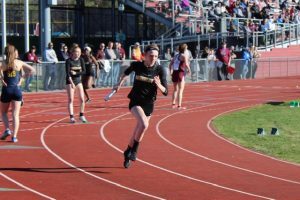 Winning events against just Streetsboro were sophomore Amber Hankins in the 800. 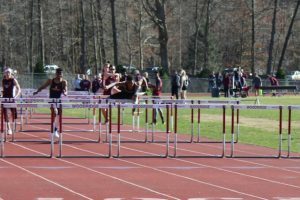 Winning events against just Woodridge were Martinez in the 300 hurdles, junior Rachael Fogg in the long jump, and sophomore Morgan Ross in the high jump. The teams are back in action tomorrow as they head to Manchester for a double dual vs. Manchester and Lake Center Christian.